Press Release:– The healthcare sector is a prime focus for the Government of Saint Lucia as it enters into a new financial year. 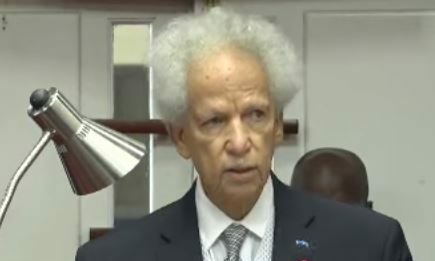 That declaration was made by Governor General, Sir Emmanuel Neville Cenac, as he delivered the Throne Speech, signaling the opening of a new Session of Parliament. The Governor General stated that government intends to continue strengthening primary healthcare and public health, advance work on national health insurance, and implement measures for quality assurance. Plans for the opening of the Owen King EU Hospital and the Saint Jude’s Hospital are also advancing. Sir Neville went on to announce the implementation of a National Quality Management System in order to ensure that the healthcare system satisfies international quality standards. The requisite legislation, the Governor General said, will be considered for enactment during this Session of Parliament. Another sector to receive due attention in the 2019/2020 financial year is education. In his Throne Speech, the Governor General indicated that government considers education the foundation for building the workforce of the future. To realize this, two priorities are being explored: mainstreaming of Information and Communication Technology (ICT), and the expansion of the Technical and Vocational Education and Training (TVET) programme. This THONG address is a real crap. We know for sure that Prime Minister Guy Joseph has no interest in St Lucians. All he is concerned is how to pocket…,.. this government has no interest in St. Lucians for health and education. Chandelle mole, this is a broken record; action, is the time!